Another ban from the government – or rather the National Green Tribunal – a five-member judiciary bench studying the causes of pollution in the national capital. 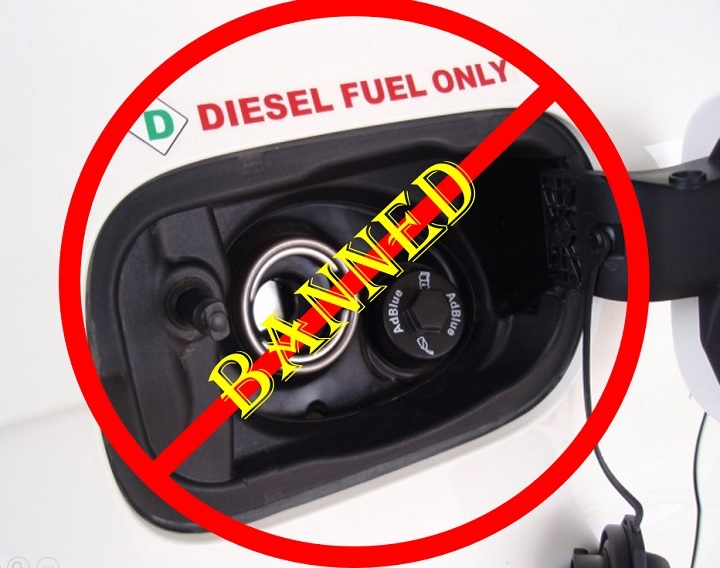 The National Green Tribunal has banned the use of all diesel vehicles that are over 10 years old in Delhi, with immediate effect – and this includes private cars and commercial vehicles. The NGT bench says that diesel cars in Delhi that are over 10 years old will be phased out over the next few months, while cars, trucks and buses entering Delhi will be stopped and checked at the border. Those over 10 years old will not be allowed to enter the city. However, it will be quite a task to implement this immediately. The next hearing by the bench is on April 10, where commissioners have been asked to inspect all entry points to Delhi and submit a report on the effectiveness of the ban. This order is likely to affect about 1.19 lakh private diesel car owners and about 35,000 commercial vehicle owners in Delhi. In addition, about 50,000 to 75,000 commercial diesel vehicles pass through the city every day, including about 2,500 interstate buses – all running on diesel, which will now have to be stopped and checked. The ban will result in huge traffic pile ups at the borders and chaos with vehicles being turned back and many commuters and freight operators seeking alternate modes of transport! This ban is a short-sighted one. Instead of a blanket ban on vehicles over 10-years-old, more stringent pollution checks would have been better. And why ban diesel vehicles that are older than 10 years, when the registration (and the road tax paid for private vehicles) is valid for 15 years? Plus, while commercial diesel vehicles plying through the city are responsible for a significant decrease in the air quality, there has not been any concrete steps to check industrial pollution from generators and factories. Also, the fact that diesel is a higher polluting fuel is not entirely true. Check this: The more environmentally friendly fuel – diesel or petrol? Watch this space for more updates on this ban.